Citrus is a test framework written in Java that enables automated integration testing of message-based EAI applications. The tool can easily simulate surrounding systems across various transports and protocols (e.g. 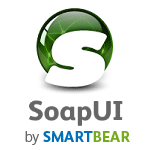 JMS, SOAP WebServices, Http, TCP/IP, ...) in order to perform end-to-end use case testing. Automate complete end-to-end testing for business and security-critical transactions. Parasoft SOAtest is widely recognized as the leading enterprise-grade solution for API testing and API integrity. Thoroughly test composite applications with robust support for REST and web services, plus an industry-leading 120+ protocols/message types. Mstone is a mail performance measurement system. It can simultaneously test SMTP, POP, IMAP, and some HTML based systems. It measures transaction latency in multiple stages, and graphs the combined results from multiple clients. In order to simulate high load levels and to randomize accesses, Mstone can run on multiple test client machines and the results are automatically combined when the test is complete. Tsung is a distributed load testing tool and an open source tool written in Erlang. It is protocol-independent and can currently be used to stress Jabber/XMPP, HTTP, SOAP, LDAP and PostgreSQL servers (SSL is supported). It simulates complex user's behaviour using an XML description file, reports many measurements in real time (including response times, CPU and memory usage from servers, customized transactions, etc.). HTML reports (with graphics) can be generated during the load. For HTTP, it supports 1.0 and 1.1, has a proxy mode to record sessions, supports GET and POST methods, Cookies, and Basic WWW-authentication. It has already been used to simulate thousands of virtual users. Enterprise Class Performance Testing Platform for Web, Mobile and Big Data applications. SandStorm tests system behavior under real-time conditions and converts this data into simple-to-understand, yet informative and sophisticated, graphs and reports. Equipped with this information, businesses, which develop Web applications can more quickly and efficiently resolve problems, thereby ensuring a positive end-user experience and providing the opportunity for increased revenue. 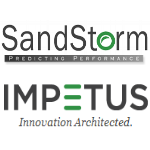 SandStorm Cloud offers performance testing from cloud. It provides a web-based management console to design, execute and analyze performance tests. It leverages cloud to provision load generation environment at runtime and execute performance tests. The Empirix Hammer Test System is the leading automated solution for real-world contact center testing to optimize Quality of Experience. It is a complete testing solution in a single, easy-to-use package. The platform improves the customer experience by identifying and correcting experience-related problems prior to, and during, production operations. The Hammer Test System can dial into applications and equipment being tested just like actual customers, entering or speaking account and PIN numbers and listening to ensure that the right responses are being played—all while measuring system and network response times throughout each test call. SIPp is a free Open Source test tool / traffic generator for the SIP protocol. SIPp is a free Open Source test tool / traffic generator for the SIP protocol. It includes a few basic SipStone user agent scenarios (UAC and UAS) and establishes and releases multiple calls with the INVITE and BYE methods. It can also reads custom XML scenario files describing from very simple to complex call flows. Imprimatur is a web application testing tool. Imprimatur is a tool for performing automated functional testing on web applications. The tests are described in a simple test script. Along with the standard HTTP methods, Imprimatur handles authentication, file uploads and HTTPS. The responses are validated using regular expressions. Test everything which does not require manual user input. Automated. Economical. Reliable. The RapidRep® Test Suite is a solution for automated back-end testing. Amongst several other fields of application, it can be used to verify the functionality of programs without GUI (static and dynamic tests). Furthermore, RapidRep® can function as a “test oracle” and automatically determine target results (e.g. rule-based or model-based). When the target results are known (or have been determined) an automated target/actual-performance-comparison can take place. Contents of tables and files can be automatically tested as well, e.g. for data comparison after migrations. PureTest - A software for functional test of IP server applications such as streaming, mobile, web, and VoIP. PureTest saves you time through all stages of testing, from setting up, defining, changing, executing, trouble shooting, to automating tests and test environment. 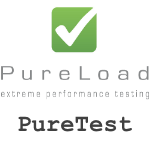 For efficient DevOps and CI environments PureTest can be complemented with PureLoad for performance and characteristics tests. Test cases can be re-used between the two tools. Wireshark is a free and open-source packet analyzer. It is used for network troubleshooting, analysis, software and communications protocol development, and education. Originally named Ethereal, the project was renamed Wireshark. A network packet analyzer will try to capture network packets and tries to display that packet data as detailed as possible. It is a measuring device used to examine what’s going on inside a network cable at a microscopic level. Wireshark is cross-platform, using the GTK+ widget toolkit in current releases, and Qt in the development version, to implement its user interface, and using pcap to capture packets; it runs on Linux, OS X, BSD, Solaris, some other Unix-like operating systems, and Microsoft Windows. Expect is a tool for automating interactive applications such as telnet, ftp, passwd, fsck, rlogin, tip, etc. Expect is a program to automate interactions with programs that expose a text terminal interface. Expect uses pseudo terminals (Unix) or emulates a console (Windows), starts the target program, and then communicates with it, via the terminal or console interface. Tk, another Tcl extension, can be used to provide a GUI. Test Automation Platform based on standardized testing language TTCN. TestCast is a Test Automation Platform based on standardized testing language TTCN. You can develop, execute and analyse tests regardless of your implementation domain, operating system or technology used. TestCast is ideal for incremental development. Testing of a single element can be achieved without an entire working system. Users can test specific systems and features separately as well the entire system as whole. TestCast is also capable of testing individual hardware or software element embedded in a larger system. TestCast is one of the two TTCN-3 test tools on the market that have passed the first TTCN-3 plugtest organized by European Telecommunication Standards Institute (ETSI) in 2009.